"Blaise Pascal. Lithograph after G. Edelinck after F. Quesnel Wellcome V0004512" by wellcome images. Licensed under CC BY 2.0 via Wikimedia Commons. Blaise Pascal was a very original thinker. He was also a very broad thinker. The topics he contributed to include Mathematics, Theology, Philosophy, Physics, and Politics. His contemporaries, although not always in agreement with him, nevertheless generally respected his ability to come up with interesting solutions. "Secciones cónicas" by Drini - Own work. Licensed under GFDL via Wikimedia Commons. 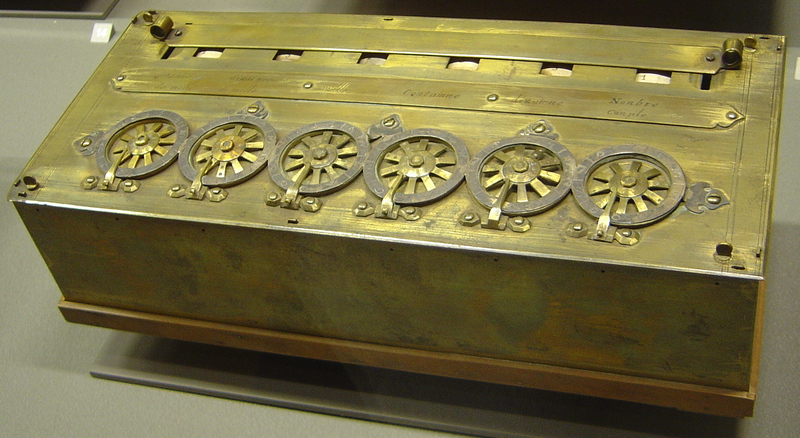 He invented an arithmetic machine called a Pascaline that added and subtracted numbers mechanically. It could be adapted to different bases to accommodate the French monetary system. This was one of the first mechanical computers. It paved the way for future thinkers to connect the concepts of gears and arithmetic. Leibniz, Babbage, and others could then build upon his concepts. He made many important contributions to the study of geometry including some important discoveries about conic sections and the cycloid. The cycloid had been known for many years before Pascal but since the more complex mathematical methods needed to answer basic questions about it were not possible using the standard geometrical methods of the ancients it was ignored. These methods, once discovered by Pascal, continue to have implications on how we do calculus today. For instance: He suggested dividing the area under the curve into an infinite number of little pieces. This is the basis of integral calculus today. He used similar methods of subdivision to find the areas of solids of revolution (Perspectives). What is the length of the curve over one hump? This is $8\pi$. If you wish to generate your own cycloid with a graphing calculator or a computer algebra system you can use the parametric equations: $$x=r(t - \sin t)$$ $$y=r(1 - \cos t)$$ To get one hump of the cycloid let $t$ vary from $0$ to $2\pi$. Pascal also integrated his faith with his mathematics. He wrote a lot on theology. 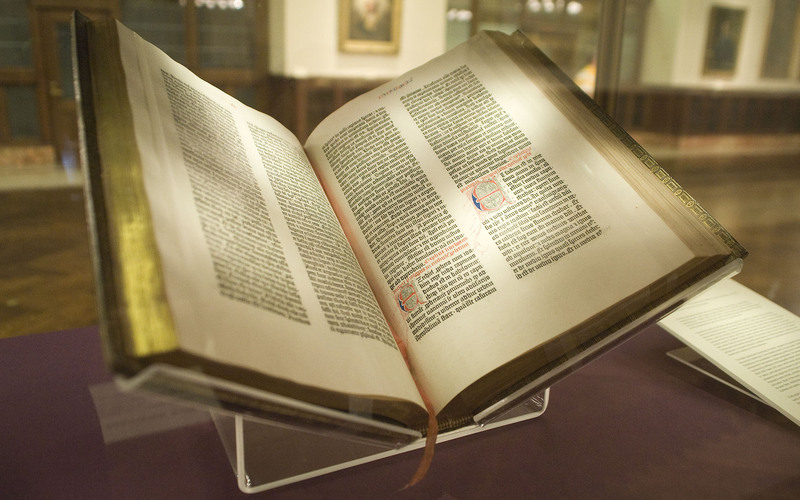 The collection of his writings called Pensees is a compilation of notes that he took for a theological book he planned to write and might have if he had lived longer than 39. In it he makes many references to God and works through what he considers to be important in his theology. We need to investigate what we hear with an open mind and with a healthy skepticism. We need to consider carefully what those who've gone before us say and we also need to do our own experiments and research. We need to look for simple overarching principles in complex data — sometimes the shortest way is the best way. We need to remember that not everything can be solved by deduction, particularly first principles, and we need to be willing to accept the basics through the knowledge from the heart. Bibliography Pascal, Blaise, Mme Gilberte Pascal Périer, and William Andrews. The Life of Mr. Paschal, with His Letters Relating to the Jesuits .. London: Printed by J. Bettenham, for the Author, 1744. Perspectives on Science, Winter 2007, Vol. 15, No. 4 , Pages 410-433 (doi: 10.1162/posc.2007.15.4.410) Hammond, Nicholas. The Cambridge Companion to Pascal. Cambridge, UK: Cambridge UP, 2003. Print.